Discover the top 10 Intercom live chat add-ons and integrations, that’ll spice up your business’s productivity and generate sales. Related: 30% faster support using instant online screen sharing? Yes. Resource: A feedback tool specifically built for Intercom? See Userfeed. See the user’s screen in ONE click from Intercom. If they don't know where to click, draw a circle around the button using the highlighter pen. If they're still struggling, click and scroll for them on THEIR screen. You can take your toughest non-tech user and without asking them to download anything, onboard and support them like never before. Try Upscope for free today. Toky is the virtual phone system that connects to everything from your website, social profiles, CRMs and of course, intercom! The no-install, no- deskphone technology is simple to use and allows immediate contact between your agents using VoIP technology. No matter where you are in the world, automatically log inbound and outbound calls, record them and click to call inside Intercom; easily allowing you to virtually connect to any customer, anywhere, anytime. 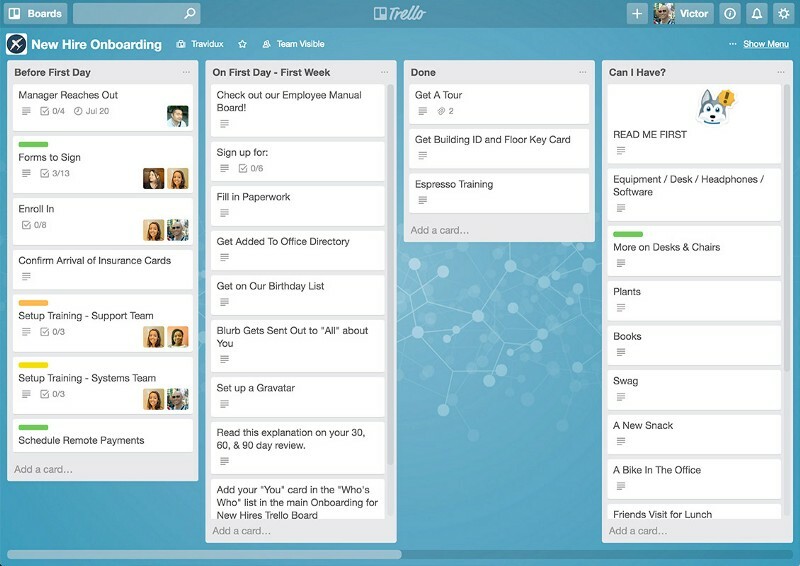 Trello is known for the productivity that it brings to your everyday tasks by allowing you to prioritize projects and create lists, all on a virtual cork board! The flexible and visual app is the perfect way to organise your work, allowing your team to easily add comments, attachments and assign tasks to team members. Trello also sends notifications to keep everyone up to date and informed about current and ongoing projects and tasks. 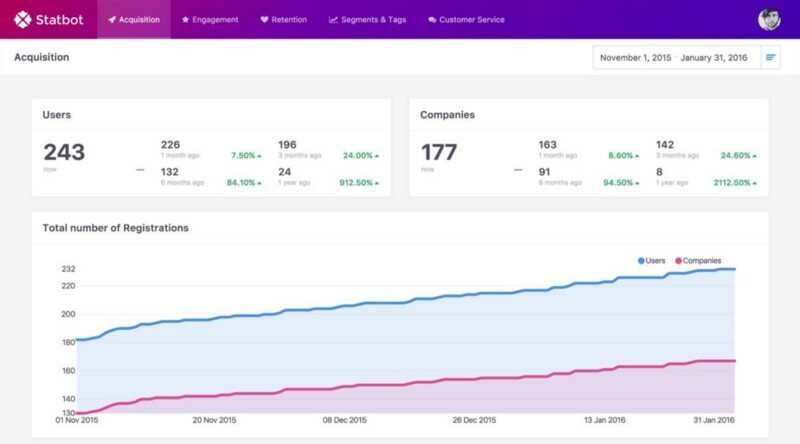 Statbot is the zero-setup analytics tool for Intercom, allowing online businesses to get a good understanding of vital KPI’s and insights about their company. By studying your analytics, you have an idea of exactly what’s going on via your intercom. Over time, these insights will create a stronger business by giving your customer service team direction and focus towards the needs and wants of your customers. 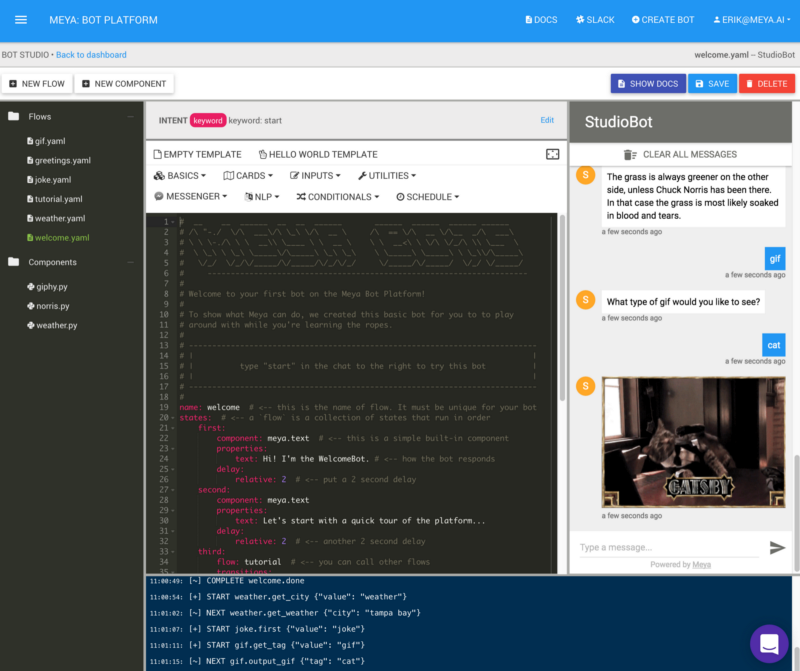 Meya is a pragmatic approach to building commercial and personal live chat bots that you can train and host. The Meya platform was designed to aid day-to-day bot building tasks, giving you the perfect combination of bots with a human touch on your communication platforms. By integrating a Meya bot to Intercom, your customer service agent can pass control between the bot and themselves, thus aiding your customer service communication. 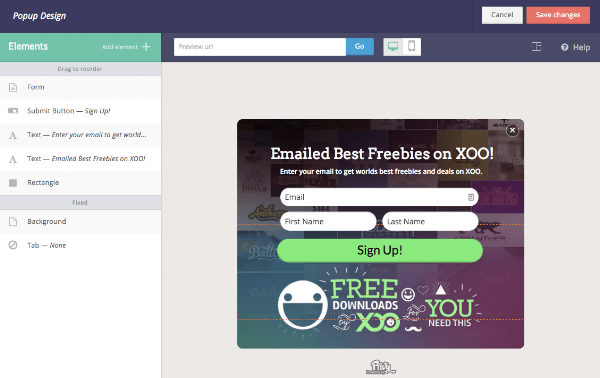 Landingi is a landing page builder that integrates with Intercom to convert traffic to your landing pages. 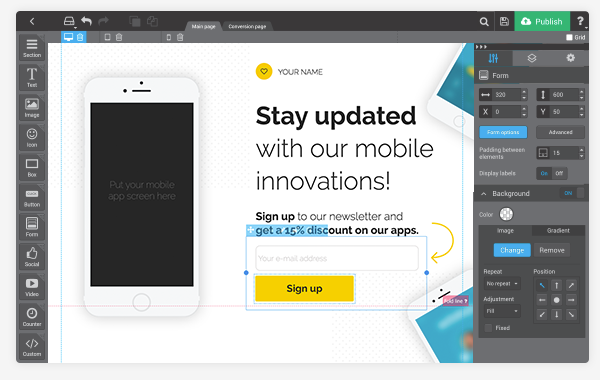 For those who do not know how to code, Landingi’s easy-to-use app requires no programming skills and still let’s you create inspired and intricate landing pages. Chameleon is the easy-install user on-boarding application that allows companies to build and optimize product tours in real-time. By integrating Chameleon with Intercom, you will easily boost customer satisfaction and on-boarding by showing potential and existing customers exactly what they need to see, in order to understand and buy into your product. By using the Chameleon editor, you can build, test and publish your new tour in just one hassle-free click. 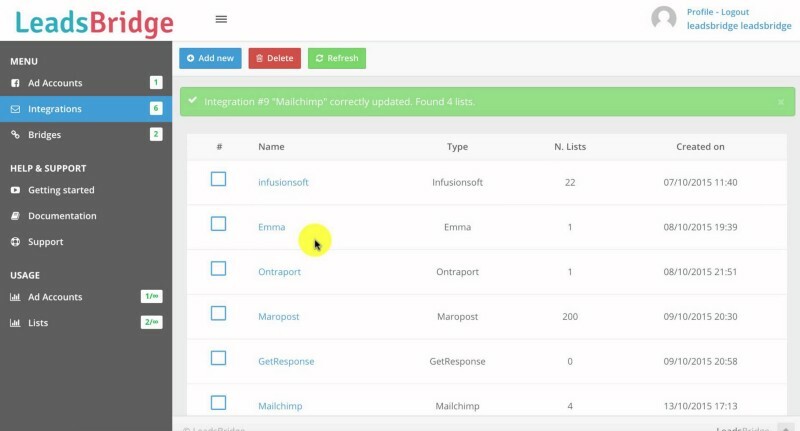 The Leadsbridge add-on to Intercom is the leading automation tool for facebook advertising, which vastly improves targeting, tracking, timing and results. By syncing Facebook ads in real-time, you can simply collect leads due to previously filled forms that target your key audience. By increasing quality subscribers and brand recognition with result driven techniques, your business will gain organic customers and traffic. Privy is the tool dedicated to marketers, helping them to build better customer relationships faster. Privy captures more emails, improves on-site conversion and increases online revenue by allowing you to create interactive templates for marketing campaigns that match your brand. As a result, Privy lets you build your Intercom subscriber list easily. By using Asknicely, you can collect and use real-time customer feedback to improve your customer service. Collect information and share your insights with your team to increase your customer retention, reviews and referrals. Once information is gathered, you can specifically target dissatisfied customers with the knowledge as to why they are displeased. Intercom integrations are essential for any online business, as they provide insightful information that generates sales and drives results. Selecting the right add-ons can be a challenge, but once adopted, they will change the way your team operates and day-to-day tasks. For more information about Upscope’s co-browsing solution, visit www.upscope.io or contact our team via live chat to schedule a demo. If you’d like to see one complete campaign across sign up, install, trial and purchase including new ways to catch a customers attention then see these real and currently in use Intercom email campaign templates.